Nashville may have built its reputation as a music mecca, but more and more people are making the pilgrimage here to check out the food scene. High profile James Beard award-winning chefs are coming from other cities to open up restaurants; artisans are setting up shop to make craft spirits and chocolates; and Grammy award-winning musicians are investing in hipster coffee shops. But fear not, it’s not all glitz and glamour. You can still enjoy the classics like the meat n’three Southern diners, the hot chicken joints and the honky tonk bars. Here is a guide for the first time you visit Music City with recommendations for both quintessential Nashville places and the newer spots the pros are raving about. All recommendations come from chefs and bartenders. To get the full Nashville guide, download the free Find. Eat. Drink. iPhone app. Hot biscuits, country ham, fried chicken, pit-cooked pork barbecue and lots of other Southern greatest hits. "This is a classic place that I recommend for either breakfast and brunch. "They have great breakfast all day and really, it's like when you come to Nashville you have to check out Loveless Café." For old fashioned traditional Southern cooking served in a restored Victorian brick house from the early 1900s. "Decidedly Southern with its big breakfast buffet. The fried chicken is ridiculously good, as is the corn pudding and all the pies." "This Nashville darling went from an airstream food truck to being one of the most popular brunch spots in town (note: there will be a long line, accept it, become one with it). We have the notable distinction of being the last wedding Karl and Sarah catered before the restaurant swallowed them whole. Our favorite things are the Nasty Princess - which is what happens with you combine the Easty Nasty and the Princess to create hot chicken biscuit sandwich - and the Lindstrom, a shaved brussels sprout salad (we use the term salad here loosely) with poached eggs, hazelnuts, lemon, and paremesan. Don't forget to order the bonuts." 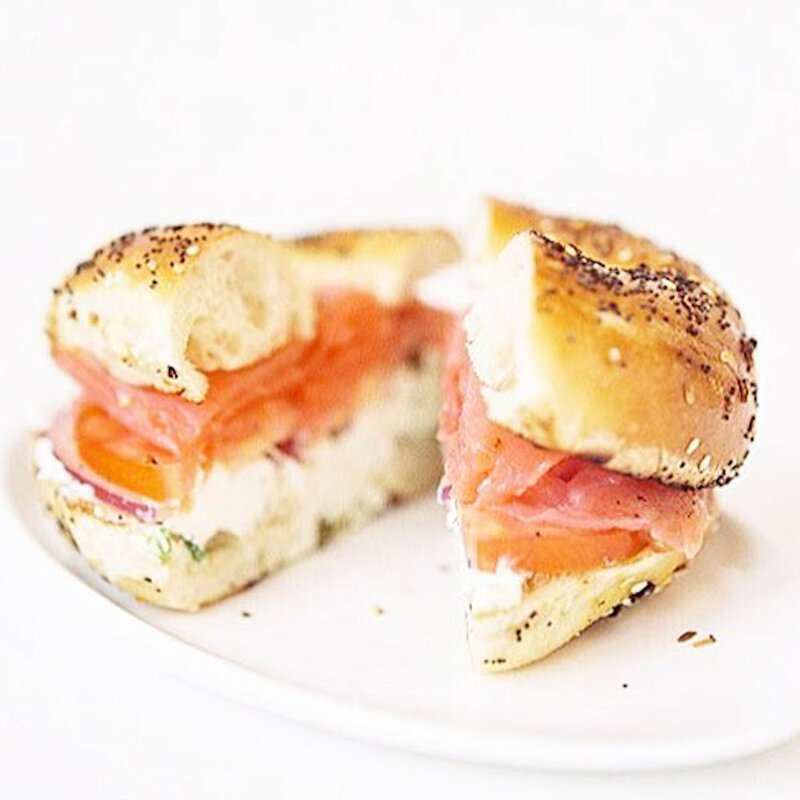 FED Pros > Chef Luke Williams of The 404 Kitchen and Brewmaster Bailey Spaulding of Jackalope Brewing Co.
"While a Southerner waving the bagel flag might seem weird, they are making everything from scratch and it is all delicious! Charleston chef Sean Brock brings his Southern cuisine to Rutledge Hill. James Beard Award-winning Brock limits his ingredients to only products available in the South, which he meticulously sources. "Absolutely fantastic for brunch. Sometimes you'll see that second location of restaurants seem to lack the soul of the original, but not here." Get your sugar rush from their fresh baked treats or opt for a savory breakfast quiche, sandwich or gritatta (an original creation of baked grits with aged provolone cheese and topped with an egg custard, portobello mushrooms, green onions, and sundried tomatoes). "The best breakfast sandwich in town. It is an egg and cheddar cheese souffle served on a cheddar cheese scone." "We have coined this breakfast sandwich 'The Crack Sandwich' because it is so delicious you always want more." "It’s a great open space and they’re sourcing amazing coffee and applying them to almost rigorous technique with the best equipment that they can put it through. They’re pulling flavors out of coffee that we didn’t know existed too long ago." "They roast their own beans. Super informative and super passionate. I like a hot black and bitter coffee like the Costa Rican one, San Lorenzo de Tarrazu. Notes of key lime, black cherry and maple." "When I saw the barista weighing coffee grounds with a gram scale and then weighing out the actual espresso shot, I was impressed. The baristas here really love their jobs and it’s just a really cool shop. They do great seasonal coffee drinks as well. They have one in the summer called the Café Tom Kau that’s a double espresso with Kaffir lime leaf syrup and coconut milk shaken like a cocktail." "It is open seven days a week, which is very rare, and is one of the best in the country. There are so many purveyors and also a beautiful nursery attached to it with lots of potted herbs and plants." Artisanal bean-to-bar chocolate makers. Chef-turned-chocolate maker Scott Witherow worked at famous restaurants like the Fat Duck and Nobu in London and Alinea in Chicago. Drop by their shop located in an old grocery store built in 1900. "What is cool is that any dish with their chocolate in it is so outrageous, because this chocolate is so incredible." An Italian market where you can find fresh made pasta, house-made sauces, cheese, and imported products. "Tom Lazzaro makes lots of different fresh pastas from filled to fresh pastas to extruded noodles and imports olive oils and salumi. He makes his own ricotta cheese and every Saturday he makes fresh mozzarella that sells out that day." "It's a great authentic salumeria type shop. I like to call Tom the ‘Pasta Nazi’ because the first time I ever bought pasta for a restaurant from him he grilled me on who was going to cook the pasta and how they were going to do it. If he came in and it was wrong, we’d never be able to buy pasta again. On Saturdays, he sells fresh mozzarella. He sells out by noon." They take hot very seriously here. They fry to order and you can choose from Mild, Medium, Hot and Damn Hot. "A Nashville must-eat. I love their hot chicken - the consistency, the flavor, the amount of spice that they put on is all spot on. I order Southern all the way to Shut The Cluck Up, which is the hottest. I’d say I get either medium or the hot. Order a local Jackalope beer." One of the best known meat and three restaurants. You get one main dish and three sides. "It’s a Nashville institution. You walk through a cafeteria-style line and choose three side dishes from 8-15 options and one protein from four or five options. You have to try the brisket, jalapeno cheese grits and bread pudding." "The green beans and the pies are incredible. The meatloaf is my absolute favorite." "Where else do you find a place where they still make yeast rolls? Not many. They’re making their own pie crust. Everything is seasoned to perfection." "It is lunch-only and just amazing Southern food, done really well. I love the tomato pie, fried livers, and the pork chop." "This gets a line within an hour of opening, so get there early or expect to wait!" "If you are looking for an afternoon pick me up, a donut from Five Daughters will hit the spot. It is located in the 12 South neighborhood and features delectable 100 layer donuts, donut ice cream sandwiches, and even features several gluten free options." "I think Jeni does a phenomenal job with her flavors, which are so much fun." They make gin, triple smoke whiskey, quinoa whiskey, and rye-mageddon as well as seasonal and more experimental creations like Old Punk and Amarillo. Plan ahead and book one of their distillery tours or just stop in to buy a bottle. 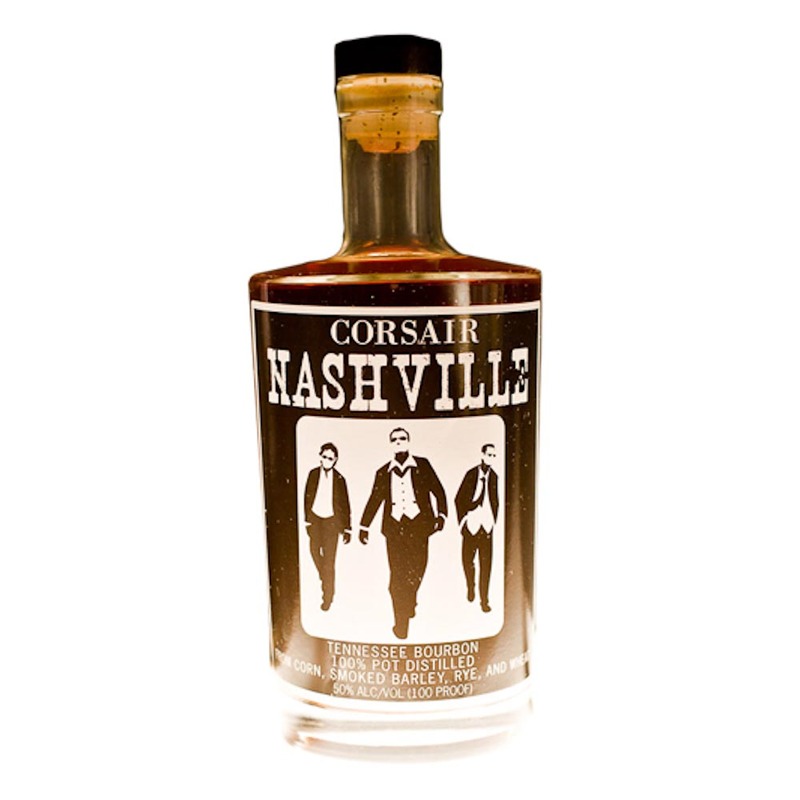 "It’s the first distillery to start distilling within the Nashville city limits since before Prohibition. They're doing a lot of experimental stuff. I really like the Triple Smoke Whiskey, Quinoa Whiskey, and their Barrel-Aged Gin." Started in 2003 by founder and brewmaster Linus Hall, who started his beer brewing escapades in college in the '90s. Their tours cost $7.00, but you get a souvenir logo glass and plenty of samples of their beer. "They’re our local beer in town and we sometimes collaborate with them." Housed in a historic 100-year-old Werthan Factory with food that is Mediterranean-influenced and made using Southern ingredients. Chef Philip Krajeck changes his menu weekly depending on seasonality. "I love what chef Phil Krajeck does. It’s rustic peasant food with a simplicity. He makes beautiful pasta, bright flavors, and he is constantly changing the menu. The octopus bucatini is great and the squid ink cavatelli is beautiful." "The pastas are some of the best I’ve ever had anywhere, and the roast chicken too." "The food here is pretty epic. They do the best fresh pasta ever. Their garganelli verde pork ragout is amazing. This is one of the places where you take a bite and you just chew real slow." Chef Tandy Wilson’s Germantown Italian menu includes artisan pizzas, cooked in a wood-fueled oven, house-cured salami, a few pasta selections and even a few southern favorites like catfish and trout. "City House is our go-to. Tandy Wilson makes super thoughtful, Italian-based food, but with really strong Southern influences. They make really great pizzas, charcuterie and catfish, but with Italian-style condiments. They do Sunday suppers, which are more eccentric, playful pork-centric dishes. Like pork rinds which cheese dust or hot chicken spice." "On Sundays, go for a headcheese burger and pork belly pizza. All pizzas come with the option of having a fried egg on top." "Order the pan-roasted octopus, Frico and Carolina trout." Housed in a former shipping container, chef Matt Bolus sources his ingredients from middle Tennessee. You'll see lots of varieties of vegetables like different kinds of eggplant, okra, dandelion greens and tomatoes. You'll also find Benton's 14 month aged country hams, Anson Mills skillet cornbread, and Kennedy Farms chicken liver pate. Matt loves his burrata dish, made fresh every day. "This is our go to dinner spot. Andy and Karen Little are some of the best in the business and their spin on Pennsylvania Dutch food is the real deal. They are sourcing locally, have a top notch wine list, and have a dessert menu that is worth breaking the diet for." Music City’s speakeasy pays homage to bourbon, as well as the Tennessee governor who vetoed the return of state-wide prohibition in 1909. You may miss it the first few times you try to find it, but that's part of the game. The list features 30 original and 20 classic cocktails. "The Patterson House makes the best drinks in town. It’s like a clandestine place, a secret thing. There is no sign out front. They have velvet curtains and a hostess seats you, there is no standing room. Because the cocktails are laborious and take time to make, they want the drinks to be really good and not to lose their quality and their craftsmanship. So they don’t open up the place for a lot of people ordering drinks." Known for great craft cocktails minus the attitude of a speakeasy. Look for a menu with drinks that give a nod to the literary crowd, with cocktails named after famous writers like Charles Bukowski. "Because it has a dive bar feel with creative well-made cocktails." "308 is more of a hangout kind of place and they make really good drinks. They’re doing a lot of unique things, like carbonating drinks and making their own syrups. It’s a place where the music is going to be really loud and you meet people and roam around the room." Music City’s premiere Honky Tonk club. Live hillbilly, rockabilly and traditional country music with no cover charge. On Sundays, they have a morning Gospel Fellowship. "It is the best honky tonk in town. Get the Recession Special, which is a fried bologna sandwich, a bag of chips and a PBR for $5. 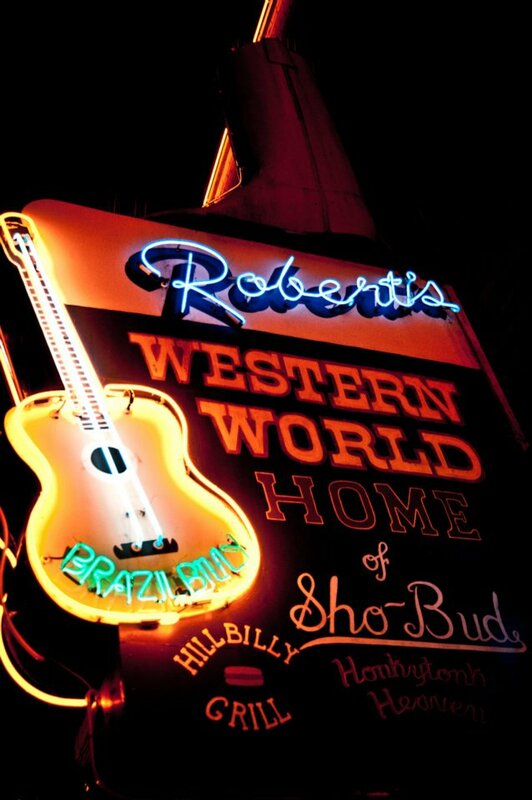 Hang-out and enjoy a bit of Nashville's history." "For the fried bologna sandwiches, cheap Busch beer in a can, and incredible honky tonk music." A bar, a restaurant and a music venue rolled into one nice package. "This is part of the new wave of dive bars, tasteful, operated by young kids, a cool patio outside, the perfect place to go for a glass of whiskey with ice in it." Stop in for pool, darts and bands. This is an iconic divy watering hole where the Black Keys shot their video for Little Black Submarines. "It’s a dive bar with shows and it’s a smoky, grimy place where you shoot pool and listen to music. No liquor license, so you come here to drink beer." This is a catchall social lounge with coffee in the morning, brunch on weekends, cocktails at night and bowling and karaoke all day long. Eat breakfast, lunch or dinner from the menu created by chef Josh Habiger of The Catbird Seat. The drink menu was developed by Matt Tocco, formerly of Rolf and Daughters and The Patterson house. "With its retro social club vibe, Pinewood Social reminds me of a Southern version of the ACE Hotel lobby in NYC. Throughout the day, creatives of Nashville arrive for drinking in all its forms - a coffee bar from Crema (try the coffee cocktail Easy Like Sunday Morning) and killer cocktails from the Matt Tocco. When the mood strikes, beer and bowling is in the next room." One of the most famous hot chicken joints in the country. "Everybody likes Prince's, it's a classic fried chicken joint. They fry the chicken in a cast iron pan on a home stove in the back and they cook it to order. It is wicked hot and it's killer, but if you eat it all the time it will take years off your life." "One of America's most amazing regional dishes. The chicken can't be fancy, with ton of spices packed on, and served on a styrofoam plate or paper boat. And it has to hurt." "Hot fried chicken, not wings, and it's the color of smoked paprika. It’s a slow burn, with white bread, pickles. It's awesome." Locally-made artisan chocolates recommended by chef Sean Brock. 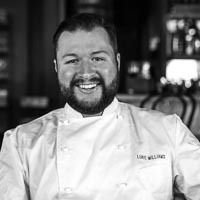 Scott Witherow worked as a chef at some of the most famous restaurants in England before returning to his hometown to become a chocolate maker. Making artisan spirits in downtown Nashville. Bartender Matt Tocco is a fan of their Triple Smoke Whiskey, Quinoa Whiskey and Barrel-aged Gin, but they have a lot of other spirits to pick from. 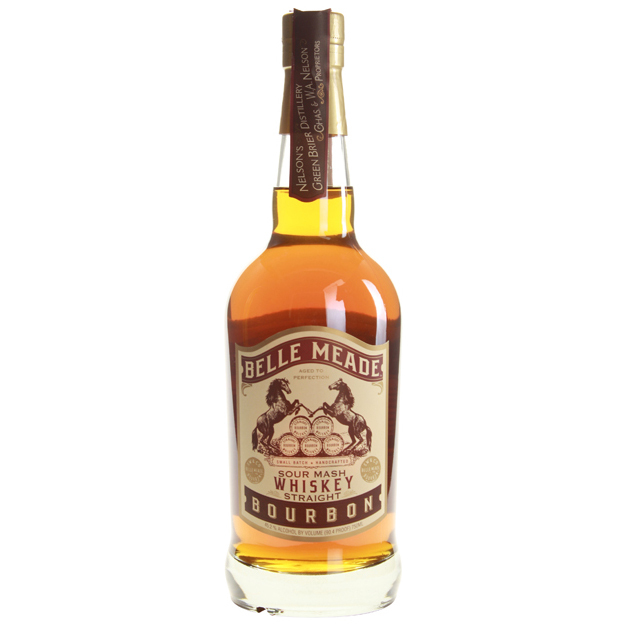 Bartender Matt Tocco likes this locally-distilled bourbon from Nelson’s Green Brier Distillery. Their grandfather used to distill pre-Prohibition and it was one of the biggest distilleries in the area. It went out of business because of Prohibition and now they’re bringing back their grandfather’s bourbon. 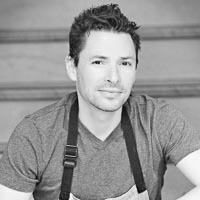 Executive chef and partner in Husk in Nashville, Husk, McCrady's, Minero in Charleston. Chef and owner of City House in Nashville. Chef and owner of Rolf & Daughters in Nashville. Chef at Pinewood Social in Nashville. Chef of The 404 Kitchen in Nashville. 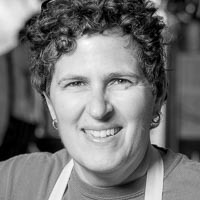 Chef and owner of Margot Cafe & Bar in Nashville. Chef at Hattie B's Hot Chicken in Nashville. Chef, chocolate maker and owner of Olive & Sinclair in Nashville. Chef, butcher and partner at Porter Road Butcher at Nashville. Chef, butcher and partner at Porter Road Butcher in Nashville. Executive chef and owner of Table, The Imperial Life in Asheville. Head Bartender at Pinewood Social in Nashville. Chefs and owners of Biscuit Love in Nashville. CEO, co-founder, and brewmaster of Jackalope Brewing Co. in Nashville. Sous chef at The 404 Kitchen in Nashville. Bartender co-founder of Jack Rudy Cocktail Co, partner in Leon's Oyster Shop in Charleston.